There are so many ways to save money but it is the hardest thing to do especially for families with low income. Definitely, there are ways to save money fast. You can focus on your budget, set financial goals, hustle for extra income, get started with meal planning and use coupons on grocery stores. 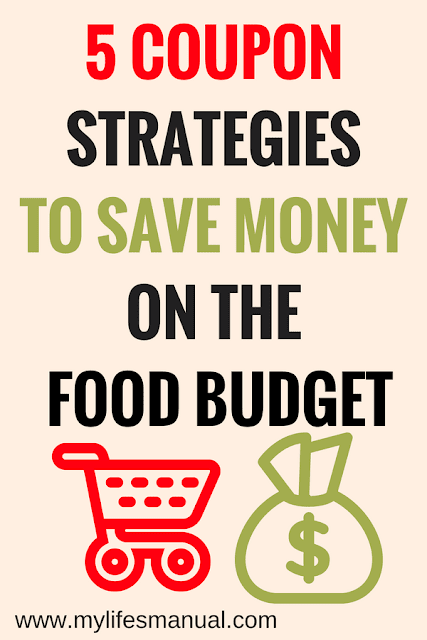 Families on a budget can save money using coupons to reduce money spent on food. Coupons could cut your budget by 30-50% or even more if you are willing to turn couponing into a passion. You can even become successful overnight and with work and dedication become a super saver shopper. You have to be patient, flexible and perhaps give up your favorite brand, but it can be done and you can save a lot of money. Organize before you shop. Keep your coupon sorted by food type in an easy to search through organizer and match coupons with needs on your grocery list. This pocket coupon sleeves organizer and this expandable coupon organizer wallet binder are perfect to keep your coupons organized. Sign up for a store loyalty card that offers plus bonus points that are cumulative each time you shop. Using a store's loyalty card can lead to double points and free item coupons. Be on the lookout. When you combine regular coupons with sale prices, you're becoming a super saver. If a coupon item is not on sale and it's not an urgent buy wait until it's on sale. Compare ads. It may pay you to drive to more than one store if it's an item you need, but before you burn up extra gas, ask if the store honors it's competitor's coupons. Many will do this just to keep you in the store. You can call ahead to save a trip. Don't be susceptible to the two for a dollar marketing tool unless it's to your advantage with a coupon. If you need two of the items go ahead and buy them; but save by buying only one if that's you only need. For example, the sign may read 15 limes for a dollar. Unless you are a big lime user, some could go bad before you use them. Food coupons can be found anywhere. The Sunday newspaper is usually the best source but also look online, at public libraries and a coupon swap boxes at the store itself. Some store issues coupons at checkout for your next visit. WANTS TO LEARN MORE ABOUT EASY WAYS TO SAVE MONEY? The Grocery University goes deeper in stretching your grocery budget than you ever thought possible. 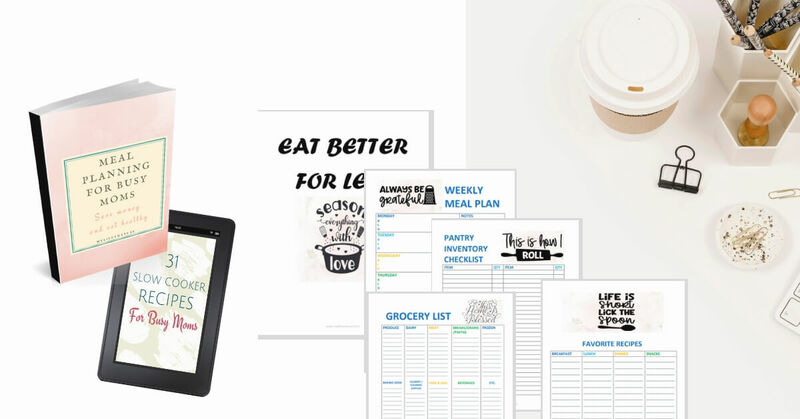 The Money Saving budget worksheets allow you to spend $21 per person per week on food! A Mom's Guide to Saving Money! You Can be Stay at Home on One Income. This book will help you to be on your way to living debt-free, saving money for your family and even staying home with your kids while living your new FRUGAL life. 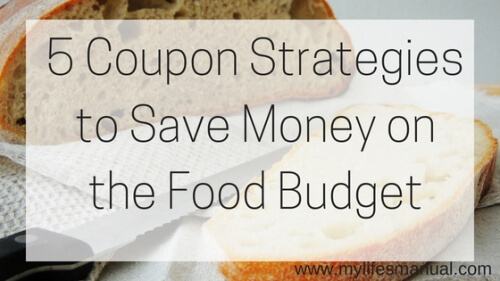 Don't hesitate to use coupons if your goal is to save money on food. It takes practice, patience and trial and error! I love couponing! I can’t even begin to calculate how much money it has saved us over the years! Thank you Melissa. Share us your best couponing tips. I really need to get back into couponing! Great tips! These are great tips. The BOGO deals are always tempting. What I have started to do now is look at the BOGO proce and ask myself is it really a good deal? I divide the price by 2 and decide if I would be happy paying that for 1 item and is it such a good deal that if it were the same price and the BOGO sign were not there ($2.50 each vs 2/$5), would I still buy 2? If the answer is no, I search for a less expensive option, and usually I am able to find it. :) I also use ibotta and ebates which helps me use coupons and get cash back! I’m always looking to save more on groceries! I’ve become more of a coupon cutter than I used to be and for good reason. Thanks for your tips!! Great tips! I need to up my couponing game! Yes, yes, yes... people often get fooled by the two for one trick. Just because it sounds like a deal doesn’t mean it’s a good deal for you.